We are instrumental in offering our clients with a comprehensive range of Ignition Transformers that is manufactured using premium raw material. 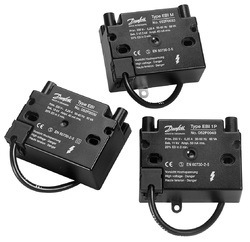 These transformers are used in a wide variety of commercial and industrial heating applications. We are readily engaged in delivering Ignition Transformers to respectable clients. The offered range of power transformers is made utilizing high grade components and innovative technology in complete adherence with the industry laid norms and standards. Along with this, the offered range of power transformers is known for its robust construction, superb performance, wide operating voltage and excellent duty cycle.